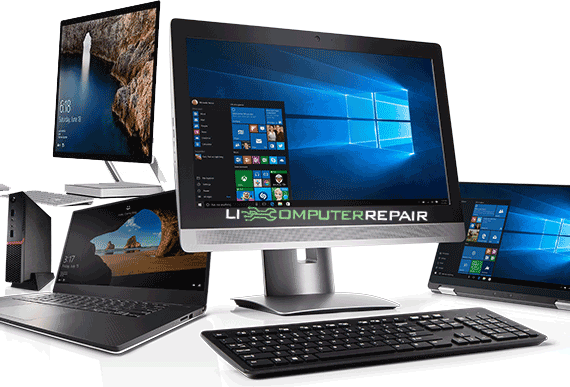 Your Computer Fixed at Your Home or Business By an LI Computer Repair Expert. We provide on-site computer repair service for your home or business in Suffolk and Nassau counties on Long Island. We offer on-site computer and laptop repair for your home or business. Our average turnaround time is 24 hours or less. We offer the best rates and a free quote. We are experts at removing virus infections, data recovery and backup, software problems, dead hard drives, or MS Windows issues. With over 17 years in the computer repair business, we have the knowledge and expertise to solve all of your computer and network problems. 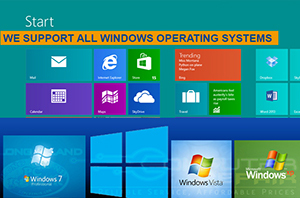 We support all legacy Operating Systems, as well as the current Windows 7, Windows 8, Windows 10, and all Microsoft applications. Reliable, Fast Service. All work is guaranteed! Hard Drive Replaced SSD Drives. DC Jack Charge it Again. 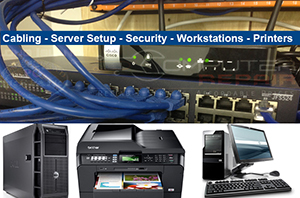 We understand that most companies cannot afford an internal technical department but need fast service and reliability when one of their computers or network goes down. That is why we are Long Island Computer Repair. Let a Long Island Computer Repair service provider step in and resolve all of your computer or network problems today. For home computer users, nothing is more frustrating than having something go wrong with your home computer. To get your computer repaired, you must leave your home and take it to a repair shop where it takes days or weeks. Call us, we'll repair it today or within 24 hours. @ LI Computer Repair you don't need your disks or recovery drive. We are Microsoft partners, and are prepared to install, upgrade or downgrade any Microsoft or Mac Operating Systems. 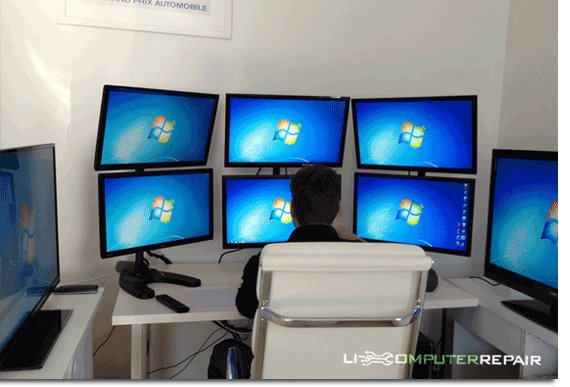 @ LI Computer Repair we can remove any virus infection and will make sure that your system stays clean and protected. Spyware removal is one the main tasks that we concern ourselves with when analyzing your system for viruses. LI Computer Repair will diagnose the problem for you and suggest a remedy. Please bring your computer to us for a free diagnostic, at which point we can get you an exact quote for the repair. All screen replacements are completed within 3 to 5 days. Express service is available and can be completed within 48 hours. LI Computer Repair can resolder (your existing dc-in power jack) or replace it with a new one (if needed) for about $250 (labor and pin included). Accidents happen, and computers get dropped every day. We've seen it all from broken hinges, screens, casing, bezels, connectors and more. Whatever the damage you've sustained, LI Computer Repair can help. Computer shuts off randomly or gets very hot. If your computer randomly shuts off it usually indicates a fan failure or motherboard issue. Beautiful, responsive websites. SEO friendly. 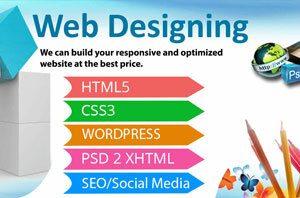 We start the web site design process by finding out what you want to accomplish with your site. Quickbooks, Peach Tree, Exchange, Medical software. We support in-house software for medical offices, shops, dealerships, law offices and more. Noisy or clicking hard disk?. Your system has just crashed and you need your pictures, word documents, Quickbooks, email, or any other data back as soon as possible? Professional logo design, marketing materials that stand out. High quality design for printing. Graphic Design Long Island. Search Engine Optimization, get found on google, yahoo, and all other major search engines and social media. From web design to SEO services, we work with you to deliver a website that you want and a website that delivers the return on your investment. SEO, Social Media Management services. Experts Repairing Computers, Laptops and MACs on Long Island. No DVDs needed, we fix them all fast. Beautiful, professional and responsive designs. 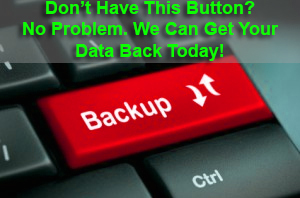 We recover your data, while protecting your privacy. No Guess work, professional IT Support.